Our graphic designer said it's time for our website to grow up. So we have launched a new version. This site now contains a blog format for updates which will allow you to search specific terms such as "malocclusion," "cage design ideas," "pairbonding," etc. 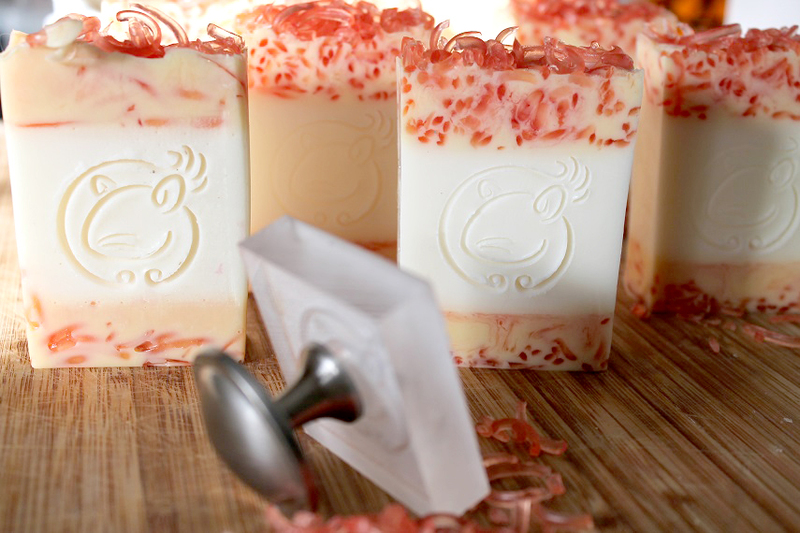 We also have a fantastic new layout and pictures of our store items. 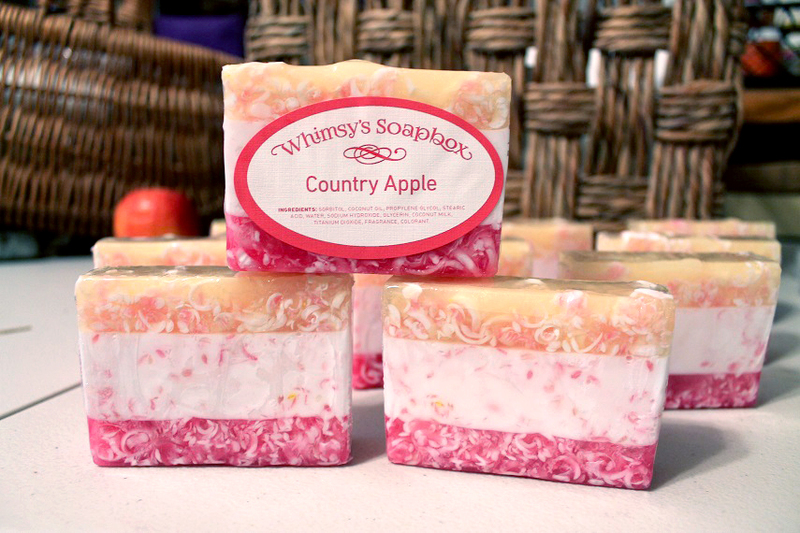 Also, after much prodding and poking, Whimsy has finally made the hand crafted soaps available in our store. For the month of May three (3) chinchillas were surrendered and two (2) chinchillas were adopted. We were especially excited to see Chi go to his forever home. Chi was our "least likely to be adopted" chin. Like a troubled teenager, Chi just needed someone with the patience of a saint who was willing to work within his boundaries. Marilyn was just that person. On rare occasions we hear from folks who like a challenge. Marilyn was literally a life saver. Which reminds me. I need to clarify that even though we are not a no-kill shelter, we rarely ever actually put down a surrendered chin. Only the most medically terminal go over the rainbow bridge with an express ticket. The aggressive biters stay with us until a knight in shining armor comes along, or if we are called upon to take in mass numbers of adoptable chins all at once. We operate as a home-based shelter affiliate. So it's not unusual for entire herds to be sent our way. We have become much more strict regarding our surrender policy. So we have not had to deal with chins overflowing into the living space again. We have also managed to pairbond larger groups of same-gender chins to save on space. Another exciting bit of news is we now have contact with a local vet who is willing to spay and neuter our rescues....for a fee, of course. We feel it is well worth the cost! This will allow us more flexibility when it comes to pairbonding. The highly alpha boys typically (but not always) get along fine with a female who can put them in line with a well aimed stream of urine. That seems to settle them down fast whereas another boy would simply attack. For the month of December, three (3) chinchillas were surrendered and three (3) chinchillas were adopted. 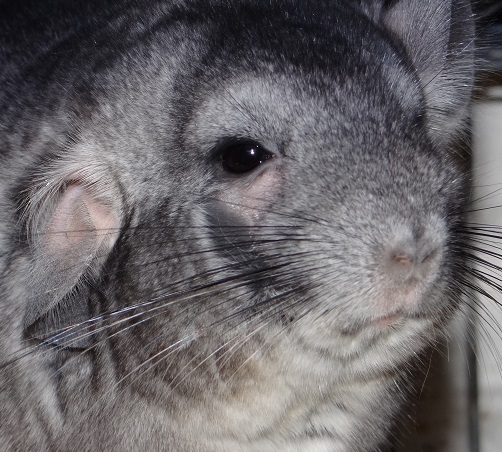 For the entire year of 2015 that brings us to 32 chinchillas surrendered with 36 chinchillas adopted. We do have 4 chinchillas expected in this month, but we finally have carved out enough space for that elusive clothes washer and dryer. After the holidays we've spent as much time as we can muster toward fixing up the secondary chin (laundry) room. We'll still have space in there for four triple stacked cages, but now we're going to take back one wall for combined use. ;) The primary chin room holds 12 triple stacked cages. But the point is, just because a male and female chinchilla "love each other" is no reason to keep them in a situation that could lead to the procreation of more chinchillas... who will eventually need more homes. We have paired mothers with daughters, fathers with sons in an effort to keep the snuggle factor, without the risk of pregnancy. Of course the bonding has everything to do with compatibility. We have also pairbonded chins who have never been in the company of another chin since weaning. We've pairbonded a 17 year old chin with a 10 year old, breeding chins with same gender chins, babies with unrelated adults, so there is really no "magic" age or indicator that a single chin will or will not accept a friend. (Although pairbonding weanlings is by far the easiest). The degree of friendliness a chin has for humans or even the family dog or cat is NOT an indicator of whether or not a chin will pairbond. The only way to know for sure is how they react to other chinchillas. Keep in mind, chinchillas do like to choose their own friends, so just because a chinchilla hates another chin does not necessarily mean they will hate all chins. We do, however, know how to recognize an alpha. Those are the ones who are simply too aggressive to pairbond and have proven aggressive towards their own kind as a general rule, not as a single episode. We have on occasion met with chins who were too aggressive to pairbond. Our own mascot, Titus, is one of those. So while we will always push for keeping chins in pairs or groups, realistically speaking, it's just not always possible. We could only hope that if this is your situation, it's with the chins best interest in mind that he or she is single and not simply for convenience or cost.